Der Artikel Sue Foley: Queen Bee wurde in den Warenkorb gelegt. SUE FOLEY is a Canadian born artist who moved down to TEXAS in the late 80’s. She recorded a number of albums for the legendary ANTONES label in the early 90’s. 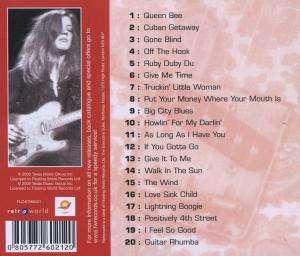 Her strong lead guitar playing makes her stand out from other contemporary blueswomen players.